Hans-Juergen Bahde has dedicated his professional career to the progression and advancement of the information technology and services industry. 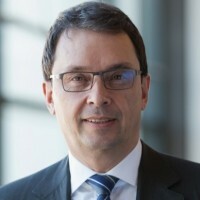 Hans-Juergen serves as CEO of Transtec AG. He received his Master’s of Business Administration Degree from the University of Erlangen-Nurember in 1996. Hans-Juergen attributes his success to understanding customer trends and being a good leader. He is fluent in German and English.